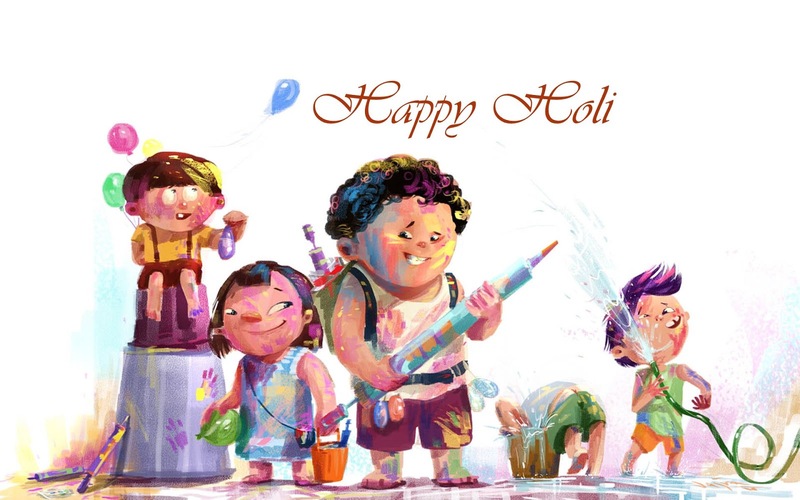 Holi is one of the major festivals of India celebrated on Phalgun Purnima which comes in February end or early March. The festival signifies the victory of good over evil. It is also known as "Festival of Colors". On this day, people hug and wish each other 'Happy Holi'. People celebrate Holi by throwing water-filled balloons and colors on one another using pichkari (Water-guns). On the occasion of Holi people send sms, wishes, greetings etc. to all nears and dears. So why are you thinking, choose a message from below and send your friends and relatives. Yaad rahegi ye holi re...! !